For this final qualifier of EFN 2016, Elite Boxing will also include a 4-man heavyweight kickboxing tournament on the bill. 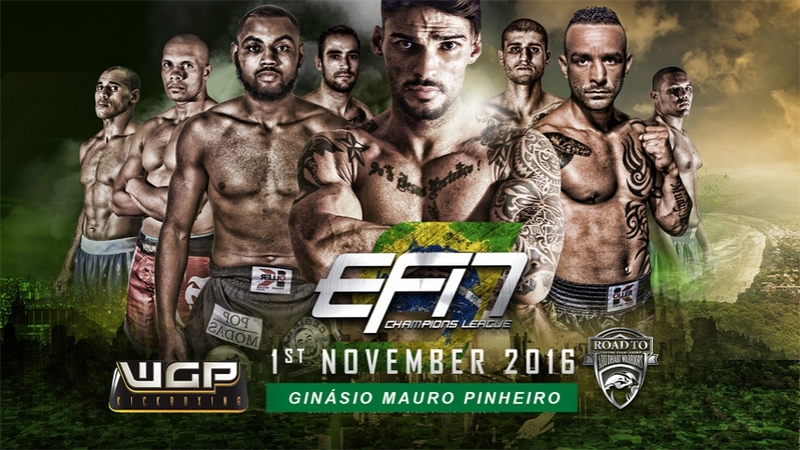 EB has partnered with Brazilian kickboxing organization WGP to stage the first ever EFN event in South America. For the first time in EFN history, the audience in Sao Paulo will experience a combined fightcard of Muaythai, MMA and Kickboxing fights.